SCOTTIES BOUND – Skip Sarah Koltun and her veteran rink of curlers will again represent the Yukon at the national curling championship for women. Sarah Koltun and her rink are heading back to the Scotties Tournament of Hearts after going unchallenged for the Yukon championship. Scheduled for this coming weekend, Koltun’s team was the only one to enter. Some may see the bye as a break but the young skip sees it as a missed opportunity to get more competitive games in before heading to the national championship next month in Moose Jaw, Sask. “Since we have been home we have been at the rink every day,” the 21-year-old Koltun said of the practice schedule over the holiday season for her and her teammates who, like herself, are all Outside attending post-secondary school. The skip, second Patty Wallingham and lead Jenna Duncan are in Vancouver and play together in two leagues. 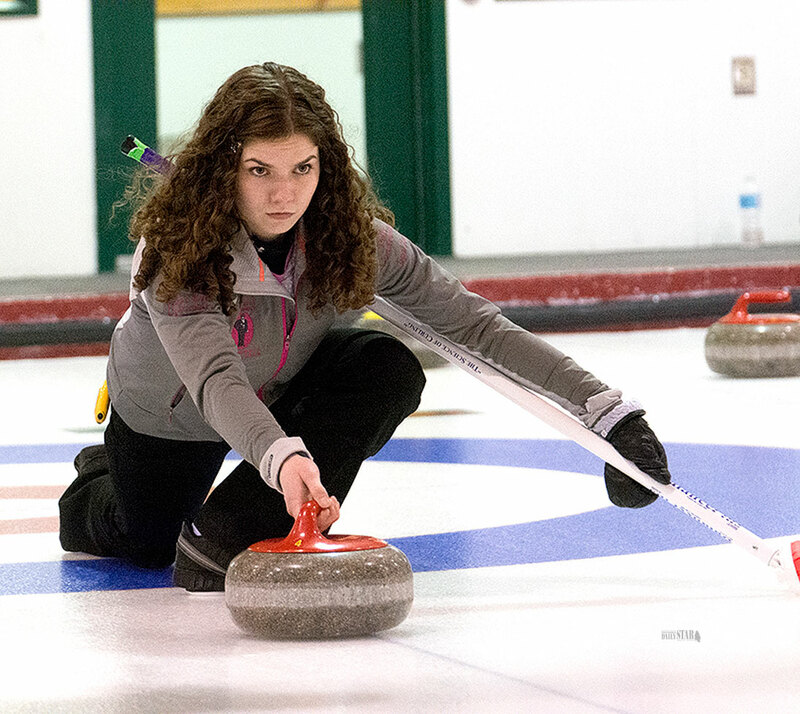 Third Chelsea Duncan plays in two leagues in Edmonton so the holidays provided the women with an opportunity to practise together, though the four curlers have gotten together for several events since school started. Last year the team became the youngest ever to play in the Scotties, and finished with two wins and nine losses in Montreal. The rink also represented the Yukon at the national junior championship last winter and finished 10th in Liverpool, N.S. Koltun said while she would have preferred a competitive playoff locally, the holiday break did provide the opportunity to work with their coach and focus on different aspects of their game. “I think we really know what to expect,” she said of their return to the Scotties. “We know the atmosphere, the level of competition we are going to face. Koltun pointed out this year’s format is different, however. The Yukon, the Northwest Territories and Northern Ontario will have to compete in a pre-qualification round, with the winning team moving on, she explained. She said there’ll be a single round robin among the three and the two top teams will play off for the berth. The Scotties run Feb. 14 to Feb. 22.